Pros And Cons Of Push Reel Lawn Mowers - Should You Get One? Homestead Garden > Lawn Care > Pros And Cons Of Reel Mowers – Still A Viable Choice? Pros And Cons Of Reel Mowers – Still A Viable Choice? 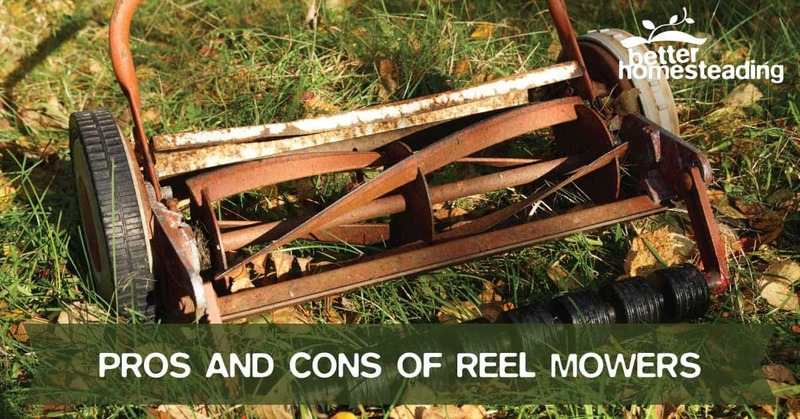 In this article I want to talk about the pros and cons of reel mowers. Slightly surprisingly, in this world of modern gadgets and ‘motorised everythings’, reel mowers seem to be making a bit of a comeback. More and more gardeners are turning away from the gas rotary mowers and the ride-ons, and going back to a more traditional way of knowing their lawns using human powered lawn mowers. 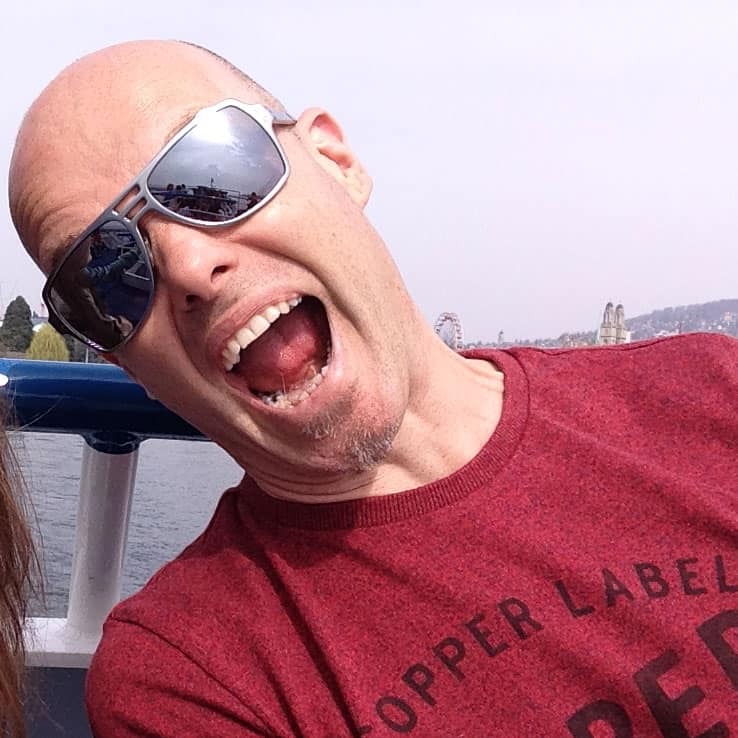 Reel mowers are appealing to a lot of people, from the health and wellbeing fanatic to the haters of noise pollution, to the haters of pollution in general….the environmentalist. The frugal homesteader loves them, as do those (and I have to admit to falling into this category a bit) who have a romantic notion of the past, imagining pushing a manual lawn mower around a well manicured English garden, with cream teas on the patio and not a cloud in the sky. With a push reel mower, you have to be prepared to be the engine, the workhorse behind the motion. You need to be prepared to mow when it NEEDS mowing, not when you just can’t avoid it any longer and your significant other is threatening divorce or battery if you don’t do something about the jungle outside. If you have a small to moderate sized lawn, free of twigs and other stones that will stop you in your tracks, a push mower is actually a pretty good option. I have one, I use it, I love it. It’s replaced the electric rotary mower almost completely. This review of the pros and cons is not based on some meta-analysis of Amazon reviews or a vague idea about what may or may not be good. It’s based on my personal experience with my Bosch lawn mower, bought just before the summer and used with excitement and vigor throughout the mowing season. I've going to give my viewpoint as someone who owns two mowers. The reel mower vs rotary mower debate stirs up a lot of excitement on forums around the interwebz, and we all have a view. As a prelude to this article, I’ll state the bleedin’ obvious right off the bat. Reel mowers aren’t for you if you’re lazy, you have a massive lawn, you only mow when you can’t see the dog in the grass or if you hate the idea of using something that was designed in the 1800s. If you don’t fit those blatant stereotypes, read on, let’s find out why the reel mower is making such a resurgence, and is this romantic connection with the past really warranted. Is A Reel Mower The Right Choice For YOU? You may already know about reel mowers, but let me indulge myself for the reader who is in the dark. Most modern mowers are of the rotary type. The blade is attached to the engine/electric motor which is mounted on top of the mowing deck. The drive shaft goes through the center of the deck and the blade attaches to it. You could almost think of it like an upside down helicopter, the blades chopping the grass off as they spin. Although the most purchased mower these days, the rotary system is actually pretty bad for you lawn. The blades are never razor sharp so chop and hack at the grass rather than cut it. You grass ends up ripped and torn which is actually pretty bad for it. The reel mower, although touted by the bigoted and ignorant as a tool of yesteryear, these mowers are actually pretty cool. The CUT the grass like you'd cut paper with a pair of scissors. 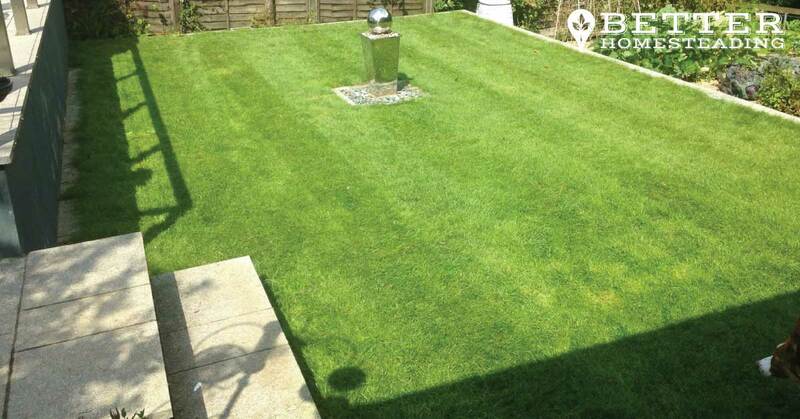 No ripping, shredding, tearing or bruising, just clean cutting that leaves your grass healthy and looking amazing. It's sometimes easier to learn how something works with a visual guide. Check out this video for a fuller explanation on how they old-timer mowers work. Every lawn mower, in fact every tool or item that you use to carry out a task has pros and cons, advantages and disadvantages, benefits and limitations. It's just the way it is. You wouldn't use a ladle to cut a cheesecake (don't, I've tried) and you wouldn't use a reel mower to mower a 5 acre lawn. 1. Push reel mowers are better for the health of your lawn. I never really considered it before looking into the push mower as an option. I just thought that mowers mowed grass and it was all good. Once I read up a bit, it turns out that the tearing effect that rotary mowers have on the grass leaves it open to disease and also attack from insect pests. Grass that has been cleanly cut is far less vulnerable to these problems. 2. You lawn looks a lot nicer after being cut properly with a reel mower. My wife laughed when I bought my little Bosch mower, but I wiped that smile right off her face when she saw how awesome the lawn looked. Here it is after a few cuts, with our collie Jasper looking for trouble. Once she learned how to mow a lawn with a self-propelled reel mower, she hasn't used the rotary since. 3. Push mowers are super quiet. I love this. The noise of gas or electric mowers breaking the silence on a sunny Sunday afternoon in an English village is irritating. The push mower isn't silent, it omits this wonderful whirring noise as the cylinder spins, short perfectly cropped pieces of grass flying out the top. 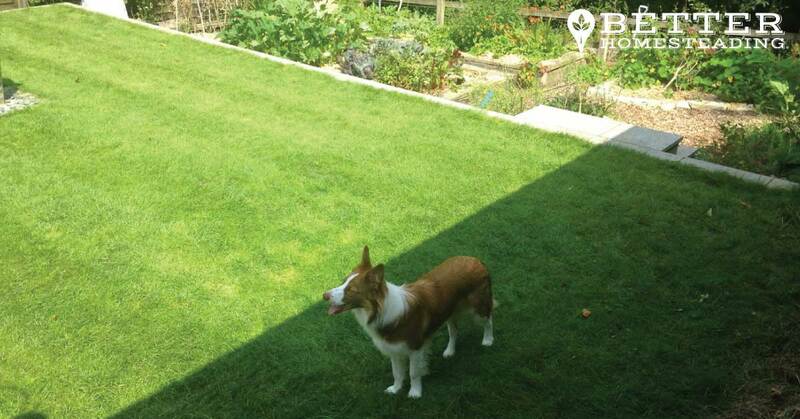 It really is like 'giving the lawn a haircut'. The lack of noise means you can mow early in the morning or later in the evening, there is no risk of annoying the neighbors with a manual mower. 4. Push mowers need little maintenance and are usually trouble free. The simplicity of the reel mower means that there is little ongoing maintenance to do, other than a drop of oil here and there and a simple blade sharpen once a season. This is actually really simple to do, no need to take an angle grinder to it. And you don't need to plug it in, fill the tank with fuel, spend 10 minutes sweating and cursing as it fail to start on the recoil starter. Nope, this mower is lightweight and gets to work in an instant. 5. Push mowers are non-polluting. Whether it's electricity from coal-fired power stations, or gas/petrol from oil, there is no doubt that most powered things create pollution, or use polluting sources of energy. The only pollution that comes from using a reel mower is possibly that from the owner, methane being a greenhouse gas as we know, but released in small, discreet quantities, I doubt you'll effect the hole in the ozone layer too much. 6. Push reel mowers are cheap as chips. Relatively speaking, a push mower costs a fraction of the price of a powered lawn mower. Of course, there are some expensive models out there, but a typical model is going to cost less than $100, I bought mine in England for £56 GBP, which is around $85 USD. Here it is. Cheap but a beauty. My Bosch reel mower before I mowed the lawn. It cut this grass with ease. 7. Reel mowers are good exercise, but not annoyingly so. I need to preface this before you start worrying about the hard work, grunting and sweating you will do with a manual mower. To be honest, I was pretty surprised at how easy it was to mow the lawn with it. The are super lightweight, far lighter than my hover mower. There was no hard pushing, getting stuck, it really was just walking, nothing harder than that really. My wife, who habitually mowed the lawn, red in the face as she dragged the old mower back and forth, loved this new one. I loved it so much I used it every 2 days during the growing season, it was never a chore. 8. Push reel mowers make mowing a pleasurable activity. Honest, I kid you not. Providing you mow regularly, don't have a monstrous lawn and keep it clear of twigs and stones, the reel mower is a pleasure to use. There is something soothingly mesmerizing about the sound, the neat trimmings of grass flying though the air as if cut by a surgeon's scalpel. There's a reward to seeing your lawn looking better than it ever has, neat rolled lines like a cricket pitch or bowling green. And you did that yourself, with just your own power and a bit of help from that simple design that has changed little in 150 years. The day of the mow. I love the striped effect the reel mower gives with it's integral roller. Pretty nice huh? But as with everything, there are downsides too, although if I am honest, I haven't experienced and yet. But I'm sure I will at some point. 9. Safety is much better with manual mowers. Unless you are able to find your fingers into the mower mechanism while you push it along, the chance of serious injury or accidental amputation are massively reduced with the reel mower. In this study from the University of Missouri, statistics showed 75,000 Americans injured each year from mower accidents, 10,000 of them children. Flying debris was a major factor. And get this! 600 children per year suffer mower related amputations - source. Do the benefits outweigh the limitations? That's for you to decide. There are some limitations. I wouldn't even really call them 'cons'. There are circumstances this type of mower is not right for the job. Here are some things to consider. 1. Push mowers don't like twigs and stones. If you have mature trees in your garden, that shed twigs all over the lawn, you're going to be up against it as those twigs end up jammed between the mowing cylinder and the blades. 2. Leave the grass to grow too long and you'll struggle. Not really a limitation of the mower, more a limitation of the homeowner. but let's face it, reel mowers are incredible effective and cleanly cutting grass that hasn't been allowed to grow too long. You can still do it, but it will often take 2-3 passes over the same area to get it down to a reasonable length. 3. Mowing can take a little longer as the width of cut may not be as wide as on your usual mower, and you also need to overlap the mowing strip a little. BUT, my personal experience is different. By the time we got the electric rotary mower out of the shed, then grabbed the extension cord, plugged it in and dragged the thing kicking and screaming over the lawn, we were hot, sweaty and red-faced. The new reel mower was almost effortless and took only 8-10 minutes to mow the entire lawn. Much quicker when you take set up into account. Ok, we've covered the pros and cons, including little kids getting their fingers chopped off...ouch! But before you head off and grab a reel mower from the local store or from those nice folks at Amazon, it's important to make sure your lawn fits some basic criteria that will ensure success. Is your yard too big? 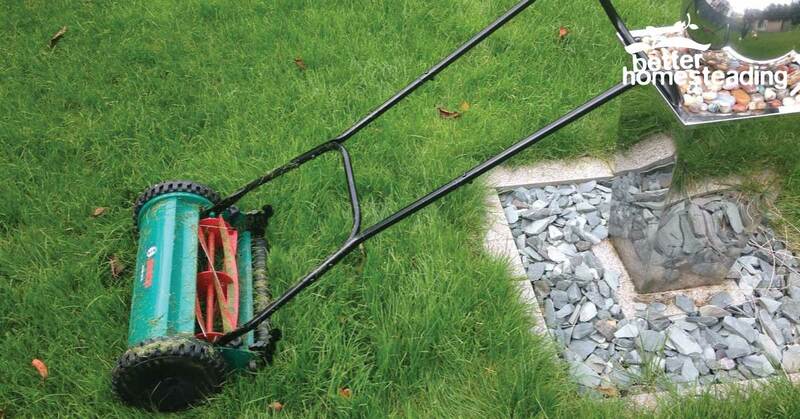 A reel mower is totally fine for a relatively undulating lawn on a medium sized plot, say up to around 1/2 acre. Much bigger and you're going to be taking a lot of time to get round it. Of course, there are powered reel mowers too, which is always worth considering. Is your yard lumpy and excessively bumpy? The reel mower does a much better job on lawns that aren't full of bumps and craters. It does not need to be like a golf course, but the wheels need to be in good contact with the ground as they drive the cutting cylinder. If it's just one part of your lawn, you can probably just use a weed whacker to tidy things up. Do you hate to leave the clippings down? Grass clippings make a great fertilizer, and usually end up going back into the lawn within a few days. Leaving them down will do wonders for your lawn, but if you hate the idea, then the reel mower might not be your best choice. Mine came with a grass box, but I haven't used it and don't want to. The clippings vanish in no time. What type of grass do you have? Reel mowers may have a harder time on grasses like Bermuda, Zoysia and St Augustine. There are models out there like the Fiskars that are designed to deal with those tough grasses, but it's worthing bearing in mind before you buy. I love my reel mower, I really do. It's strange how something that I used to see as a kid (when I went to my grandparents house) should end up in my garden some 45 years later. Not the same one of course, but little has changed design-wise. Having used my little mower for a couple of seasons, I'm actually at a loss to understand why these mowers (and the people who use them) are considered quirky and fanciful. Mine has been a revelation, and it's actually made me enjoy mowing. 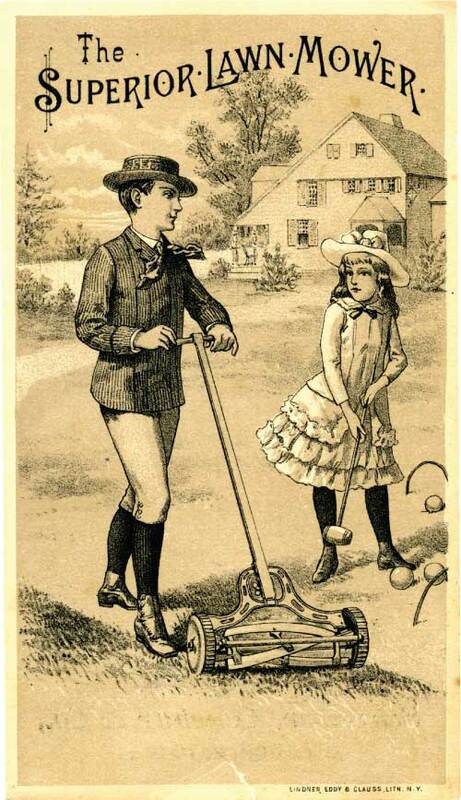 The reel lawn mower might not have changed much in a century and a half, but it didn't need to. It's cutting grass as well now as when Edwin Budding designed in all those years ago. I recommend you try it, you might just be surprised...in a good way.